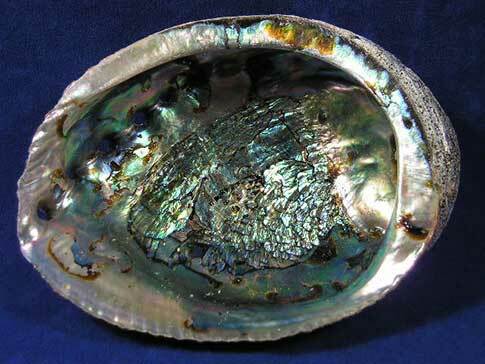 Green abalone are oval shape, bowl like sea shells with holes along one side. The inside is pearl ish with strong hues of green. The smallest size green abalone are a bit different than the two larger sizes. The ruff sides of small 3" - 5" ones are very green with hints of red. The two larger ones are different. The ruff sides are gray, brown and red.